This cosy villa is located along the shore line on the outskirts of the popular whale-watching town of Hermanus. 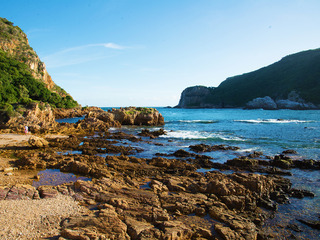 The area is known for the southern right whale watching during the southern winter and spring and is a popular retirement town offering a relaxed atmosphere for its visitors. The central square is just under 4km away and from the cliffs in the town centre the whales can be seen from as early as June until their departure in early December. Beautiful views can also be enjoyed from the well-appointed rooms, where guests can sit on the balcony, sip some white wine and admire the big blue sea. The wine connoisseurs will be well-advised to visit the Hamilton Russel Vineyards and the La Vierge Winery, both just under 6km away and offering tastings and tours that will surely make the short trip worthwhile. The Whale Coast Hotel is conveniently situated attached to a shopping mall next to the “Hermanus Station Building” offering the incomparable comfort to have everyday commodities just around the corner, this modern hotel affords its visitors the ultimate Cape Whale Coast experience. They will be within a 10-minute walk from the centre of the village where they can find local restaurants, boutiques, coffee shops and bistros. The Old harbour is just 1km away and the area offers plenty of opportunities for exciting outdoor activities. The elegantly styled apartment suites of the hotel are decorated in cool contemporary colours and furnishings, and equipped with all the necessary modern appliances to ensure a leisurely experience. The open-kitchens are ideal for preparing some delicious home-like meals that can be enjoyed at the spacious dining area. The lounge leads onto furnished patios with BBQ facilities, where guests can enjoy some grilling in the pleasant evenings. 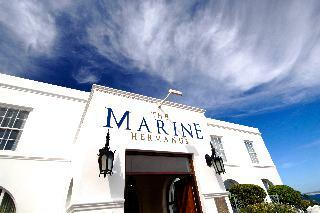 The Marine is one of the southern hemisphere's most spectacular seaside properties. Perched on the cliffs, overlooking Hermanus' Walker Bay, The Marine boasts 40 individually decorated bedrooms and suites.This unforgettable property overlooks South Africa's most pristine whale sanctuary, and it is just a stone's throw from one of the greatest densities of the endangered Great White Shark, and selection of fynbos species in the Cape.The Marine offers guests the unique opportunity to experience the finest land-based whale watching in the world. From June to November guests are able to view these majestic creatures from the comfort of their beautiful sea view room.The attention to detail is apparent in every aspect of this remarkable owner managed property - from the personal service to the exceptional cuisine which is overseen by Chef, Peter Tempelhoff, the perfect-for-sundowners Sun Lounge and the in-house Carchele Beauty Spa. Each piece of The Marine's story adds another element to an unforgettable stay. Residence Vive La Vie our first guesthouse is situated at 27 Uitkyk Street, Franschhoek offer you a 5 Bedroom guesthouse with individual decorated rooms, all with en-suite bathrooms. At the guesthouse we serve breakfast to our guests each morning, relax at the pool during the day and enjoy our garden away from the Hussle of the busy FRANCHHOEK centre.Cloud - Fall House our self-catering house is situated at 25 Uitkyk Street, Franschhoek, offer you a fully self-catering unit with 3 bedrooms, 2 bathrooms, full kitchen, lounge with limited DSTV Channels and dining area, ideally for families and friends. You can enjoy the pool at Residence Vive La Vie, right next door.Lemon Tree Cottage our other self-catering house is situated at 15 Reservoir Street, Franschhoek, offer you a fully self-catering unit with 3 bedrooms, 2 bathrooms, full kitchen, lounge and dining area, ideally for families and friends. This unit also has its own pool.All our properties are a mere 15min walk from the main road in FRANCHHOEK, were you can enjoy all Franschhoek has to offer, from Fine Dining Restaurants to the local pub. Drink wine in and around Franschhoek Wine Valley en experience what this wine valley has to offer. 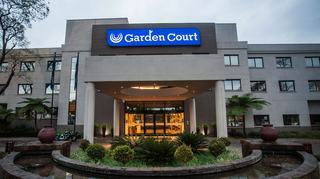 Located on the Eastern Head of Knysna, surrounded by a lush paradise of indigenous forests, mountains, lakes and pristine beaches, our hotel offers unsurpassed luxury on South Africa's iconic Garden Route. With a Championship Golf Course on your doorstep and luxurious suites, an award-winning spa and a restaurant focused on locally sourced dining to enjoy, it's easy to see why Pezula Hotel should be your Knysna luxury hotel of choice. When staying at Pezula Hotel, you'll find that we cater for every kind of traveller, from families to couples to groups of friends, we have the perfect space to complete your accommodation needs. Our Suites are all beautifully designed, expertly decorated and feature complimentary Wi-Fi, air-conditioning and a number of other amenities and facilities, all expertly curated to give you a sense of luxury from the moment you put your luggage down. A resort as diverse as Knysna itself, the Premier Hotel Knysna – The Moorings offers guests a multitude of ways to experience the Garden Route: share a champagne moment on the side of the private Knysna lagoon inlet; have fun with the family in our newly developed outdoor play area; lounge by the pool; enjoy the culinary delights on offer at our trendy Salmon Restaurant; picnic in the beautiful resort gardens or head off to discover the richness of Knysna through the craft shops, flea-markets and cosy cafés.Premier Hotel Knysna offers 63 rooms, boasts a variety of stunning venues to host and enhance your event with packages to suit your event needs and The new and trendy Salmon Restaurant offers delicious meals to satisfy even the most discerning palate in a light and upbeat atmosphere.Our friendly staff will assist you with any special request and offer you information on the many attractions Knysna has to offer. For luxury accommodation that promises to become a “home away from home”, be sure to make your reservation at the Premier Hotel Knysna – The Moorings. 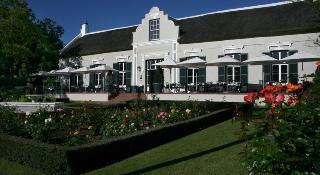 The hotel is quietly situated on large grounds on the fringe of Swellendam, a pretty little town with lush green streets and historical buildings. Restaurants are within strolling distance, and there are shops, galleries and the Drostdy Museum in the city centre. 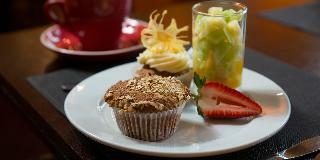 The hotel is surrounded by 2 nature parks, Bontebok national park and Marloth nature reserve. Cape Town Airport and George Airport are about 200 km away and Port Elizabeth Airport is roughly 500 km away.This modern, elegant and luxurious guest house offers the calm and restful feel of a country retreat with the eclectic chic of a design hotel. There are 7 rooms at this guest house which is managed by the owners. The reception is open 24 hours a day, 7 days a week. The guest house also has a dining room and a lounge.The guest house offers bright, spacious garden rooms with doors opening out onto the green gardens. 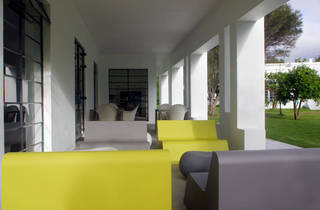 Each room has a private terrace with views over the mountains, gardens and pools. The spacious rooms come with design furniture, a desk, minibar and tea and coffee making facilities. They feature satellite/cable TV with a DVD player, iPod docking station, radio and wireless Internet access. There is also air conditioning and a heater, a safe and percale linen extra length king-size beds. Furthermore, each room has an en suite bathroom with a walk-in shower, double bath, hairdryer, bathrobes and slippers, and 'Rain' luxury bath and body products.The guest house has a heated saltwater swimming pool with sun loungers, a daybed and hammocks on the sun deck for relaxing. There is an open-air hot tub and a gym available. In-house spa and beauty treatments are offered by an authorised therapist and include massages, pedicures, manicures, facials and more. Recreational options include canoeing, golf and biking. Sun loungers and parasols are also laid out on the beach.